A BuzzFeed News Mexico investigation has found that some private clinics in Mexico City have offered abortions to women who weren't pregnant – claiming to confirm the pregnancies by ultrasound without performing any blood or urine tests. In the country's capital, abortion has been legal since April 2007. The local government provides abortions for free at 13 clinics and hospitals, where over 176,000 terminations were performed over the last decade. The high demand has given rise to private clinics and it is estimated that there are 55 such clinics in Mexico City. The cost for the procedures varies across clinics but can run upwards of 4,900 pesos or $250. At two different clinics, a BuzzFeed News Mexico reporter was even shown a small spec on an ultrasound that she was told was the embryo confirming her pregnancy and then felt pressured by doctors to decide which abortion method she would like. No blood or urine tests were provided to confirm the pregnancy, the doctor's just had the information provided by the reporter – her period was late and she saw a faint line on a home pregnancy test. In addition to the BuzzFeed News Mexico investigation, a group of three psychology students doing a class exercise visited 12 private clinics in Mexico City and were offered unnecessary procedures by six of them. The women told the doctors that their menstrual cycles were 10 to 15 days late and that they had taken a home pregnancy test that came back positive. Six of the clinics told the non-pregnant women they were between four and six weeks along and then pressured them to get abortions, even telling them if they didn't have the procedure, they faced the risk of a miscarriage. A BuzzFeed News Mexico reporter visited three of these clinics and replicated the exercise with a similar outcome. At clinics, GinecaFem, Promédica Mujer, and Fundación Naiset, the reporter was given a wrong diagnosis and was offered a legal abortion. Here's what the reporter experienced. When I set the appointments over the phone, I asked what was included in the consultation to confirm that I was pregnant. At GinecaFem and Promédica Mujer, I was told that the consultation included an examination with a pelvic ultrasound. At Fundación Naiset, I was told that, in addition to the ultrasound, the consultation included a pregnancy test and a hemoglobin test. Fundación Naiset advertised the prices for the three legal pregnancy termination methods that it offers: medication, aspiration with local anesthesia, and anesthesia with sedation. ProMédica Mujer's website says that only the medication option is offered, but when I spoke with them over the phone, they also offered the surgical procedure with local anesthesia and anesthesia with sedation. GinecaFem does not show the methods it practices or the prices on its website. In the three consultations, I said that I was two to three weeks late and that I had taken a home pregnancy test that came back positive. The truth was that I was not pregnant. Fundación Naiset has a network of eight clinics throughout the city. The facility I visited was clean and comfortable and the visit cost 850 pesos. 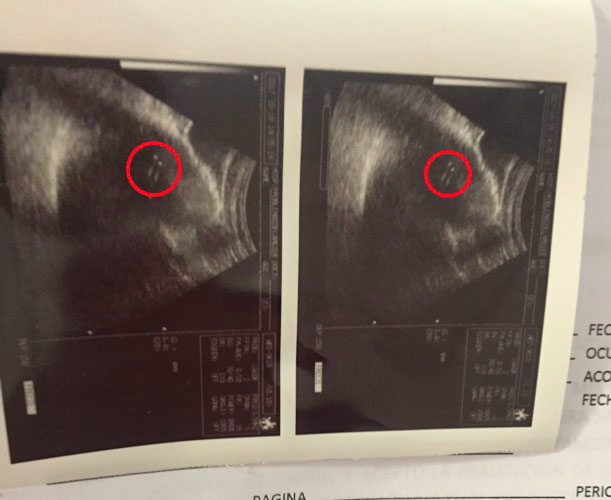 During the ultrasound, I was told that no gestational sac could be seen. However, the endometrium —a layer of the uterus— supposedly looked very thick and which is a sign of being under four weeks pregnant. However, during the consultation, they didn't do the blood work or perform the pregnancy test that I was told they would when I made my appointment over the phone. The consultation was made in location of Fundación Naiset found in Aguascalientes 6, Roma Sur neighborhood, delegation Cuauhtémoc. At Pro Médica Mujer, I was charged 350 pesos and they did a vaginal ultrasound because they could not find the proof of pregnancy. After an examination that took several minutes, they showed me a spot on the screen and told me that it was a 5-mm embryo. They had no way of printing out the ultrasound, so I asked if I could take a photo of the screen with my cell phone. The reply was categorical: I could NOT take a photograph of my ultrasound. The offices of Promédica are located at San Borja 1151, Narvarte neighborhood, delegation of Benito Juárez. “Did you do a pregnancy test?,” the doctor asked. “Yes, but the line was very faint,” I said. “So you are pregnant. How did it look? When you are pregnant you can't see anything. When the pregnancy is recent, the second line is very faint,” the doctor told me before performing the ultrasound. When he was finished, he showed me the image of a 4-mm embryo. I did get a print out for this ultrasound. Image of the ultrasound performed at the GinecaFem clinic. At the three of the clinics, my experience was similar to that described by the three psychology students. After being told I was indeed pregnant, I was offered a procedure to terminate the pregnancy. At Promédica Mujer, I was offered to terminate the pregnancy with medication or through aspiration for 2500 pesos, or through aspiration with sedation for 4900 pesos. At GinecaFem, termination with medication was 3000 pesos and aspiration and sedation was 3500. Meanwhile, at Fundación Naiset termination with medication was 900 pesos; aspiration with local anesthesia was 2000 pesos, and aspiration with sedation was 4000 pesos. At all three clinics, I felt some pressure to have the procedure. Both at Fundación Naiset and ProMédica Mujer, I was asked which method I preferred even before they asked me if I was sure or if I wanted to think about it before going through with it. Safe abortion in CDMX is a historical victory for women's rights. When I called Fundación Naiset to make the appointment, they told me I would be charged for the consultation and that I would have to pay an additional fee for the procedure. They also asked me to choose which type of termination I wanted, without first confirming whether or not I was pregnant. However, they said, if I made the appointment for the termination, the cost of the consultation would be included. When I paid the 850 pesos for the consultation, I gave them two 500 pesos notes and, instead of giving me the change, they offered to keep the money and deduct it from my bill if I chose a termination procedure. Before I had even had the consultation, they talked to me about the different procedures at the front desk. They mentioned nausea, vomiting, and diarrhea as side effects of the medication method for the first two days, and bleeding from three to 10 days, which could be extended up to 15 to 30 days. But they said the effectiveness is 80%. “If you have remains we have to do an evacuation procedure, and maybe we can do that right now [through aspiration] without letting so much time go by. Effectiveness is 99.9%, it takes from 20 to 30 minutes and you go home protected,” the doctor said. Pablo Cuberto, regional director for Latin America at Women's Health & Progress, called it business and gynecological fraud. Even though the pregnancy termination is a completely safe procedure with few complications, it is not ethical to have a woman undergo the treatment if there is no pregnancy. Unethical medical practices, Cuberto added, are not exclusive to the legal termination of pregnancy, but also happen in other fields of medicine with an aim to get money from patients. The specialist said that fetal age can be manipulated based on the positioning of the ultrasound device in the woman's pelvis. For this reason, it should be performed by a trained practitioner. Also, ultrasound equipment can store and reproduce images that were taken at a previous time and those may not correspond to the body of the woman who is being examined. The side effects of a legal and safe abortion are a few days of bleeding, Cuberto said. Although the risk is minimal, a doctor cannot expose patients to unnecessary risks. The three clinics visited by BuzzFeed News Mexico have been certified by the local Secretary of Health and the Federal Commission for the Protection against Health Risks (COFEPRIS), which is the agency in charge of reviewing the application of protocols and health measures through regular evaluations. BuzzFeed News Mexico contacted the three clinics for an explanation. GinecaFem mentioned that, if there are signs of pregnancy in the ultrasound, the urine test is sufficient. They acknowledged that in an ultrasound an embryo can be mistaken with the production of progesterone, but the urine test confirms that the patient is pregnant. 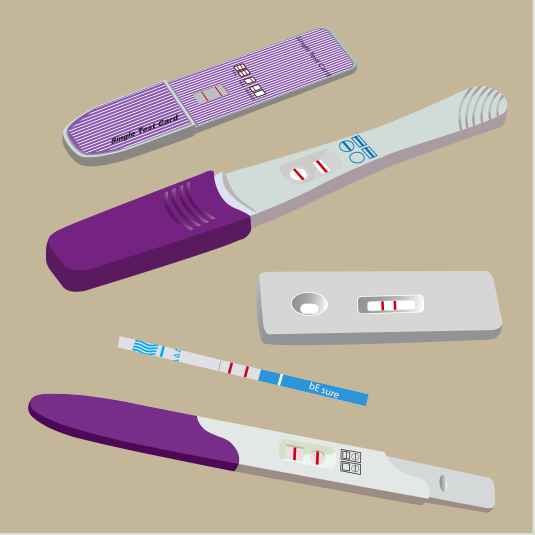 If the urine test is negative, but there are sign of pregnancy in the ultrasound, a blood test can be ordered. A second faint line is a sign of a low level of pregnancy hormones, but it reflects that the pregnancy is real. At ProMédica Mujer, I was told that, before the procedure is made, a blood test is done because the urine test has an error margin. During my consultation, however, no blood test was done. GinecaFem is located at Frambuesa 192, Nueva Santa María neighborhood, delegation of Azcapotzalco. Fundación Naiset did not comment. When I asked why they had not performed a hemoglobin test and a pregnancy test as they had told me they would over the phone, they said that the doctor decides during the consultation whether or not to perform the urine and the hemoglobin tests. On April 24, 2007, the Legislative Body of Mexico City approved a reform of the Criminal Code to allow for the legal termination of pregnancy up to the 12th week of gestation. Pregnant women from all over the country can go to the Mexico City to terminate their pregnancy legally in public and private clinics. Some private clinics have even opened branches near the airport or the truck terminal to accommodate patients from other states. About 176,000 abortions have been performed in government-run clinics in the city since they were legalized. It is not known how many procedures have been performed at private clinics. The main method is the medical option, which is performed three times more than the manual intrauterine aspiration (AMEU) and 35 times more than uterine curettage (LUI). The World Health Organization (WHO) establishes that safe abortion practices should foster and protect “the health of women and adolescents and their human rights” and “informed and voluntary decision-making”.